As a mum your first instinct is to protect and nurture, your children are your flesh and blood, they are your life, your everything…but what happens when a child has nothing? No-one to love, no-one to care, no-one to protect them? Put this situation back in the 1970’s and the world was definitely a different place, drugs were rife, a leftover from the 60’s, love was given freely and people’s morals were skewed and twisted. I’m by no means trying to justify the outcome, but that is the beauty of this book…it makes you think. I finished this book yesterday and I have thought about nothing else since. I have slept on it, dreamt about it, I have many thoughts and opinions swishing around in my mind but they are like a twisted vortex, constantly spinning and spinning and I have yet to get myself out of it. This book, THIS BOOK will make you think, it will push so many sensitive buttons, so many buttons you wish had never been pressed, but buttons that needed to be pushed to put you in Wavy’s world and even though I should have been disgusted, and at times I was, for some reason that I still can’t fathom I have to admit that, for Wavy, it was right. I still can’t get my head around it…how can this author make me feel this way? Because she was a genius, she presented one of THE most EPIC love stories, a love born from nothing but tragedy and a truly crap load of tragic circumstances. But and this is a HUGE but, this was definitely a love story and one that I certainly will never, ever forget and one that I will definitely be reading about again. Yes, it was hard to read. Yes, I had to take many a breather. Yes, my boundaries were well and truly pushed, but when the chips were down I found myself championing them for a happy ever after. After everything they had been through, they at least deserved that. I shouldn’t have wanted that, I should have wanted a totally different outcome, but this author has such an amazing talent that she makes you want the unconventional. I have kept this review deliberately vague, this is definitely a book you need to go in blind, to not be put off by what other people say, other people’s opinions. You need to make your own. I went in totally blind, I didn’t even read the synopsis. 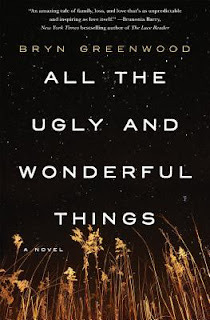 The title spoke to me enough to read this book, the world is full of Ugly and Wonderful things but do you really appreciate just how ugly it is for some people? Bryn Greenwood, I have nothing but praise for you. THIS book is going down as one of my favourite all time reads. 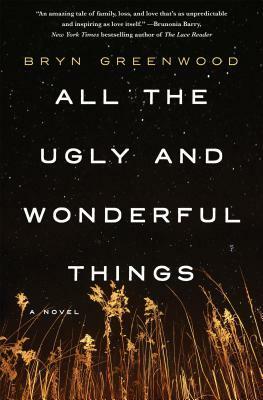 The writing was superb, layers upon layers of soul searching, gut punching prose that was totally captivating from start to finish. Thought provoking, compelling, honest, conflicting and so emotional. Something that you know is wrong, so wrong…yet somehow black and white become grey. Life is full of grey areas…is this one of them? Only you can decide, it is your soul to search, your heart to breach, your emotions, your thoughts and opinions. I’m in limbo still, my heart tells me one thing, my heart another. I’m currently Stretch Armstrong being pulled both ways…which way will you be pulled? US only enter here for an Amazon ecopy.